1. That the summary of performance for Quarter 2 of 2018/19 for Key Performance Indicators (KPIs) be noted. 1.2 Performance indicators are judged in two ways. Firstly on whether performance has improved, sustained or declined, compared to the same period in the previous year. This is known as direction. Where there is no previous data, no assessment of direction can be made. 1.3 The second way is to look at whether an indicator has achieved the target set and is known as PI status. If an indicator has achieved or exceeded the annual target they are rated green. If the target has been missed but is within 10% of the target it will be rated amber, and if the target has been missed by more than 10% it will be rated red. 1.4 Some indicators will show an asterisk (*) after the figure. These are provisional values that are awaiting confirmation. Data for some of the indicators were not available at the time of reporting. In these cases a date has been provided for when the information is expected. 1.5 Contextual indicators are not targeted but are given a direction. Indicators that are not due for reporting or where there is delay in data collection are not rated against targets or given a direction. 2.2 Overall, 80% (4) of targeted KPIs reported this quarter achieved their target compared to 100% (5) in quarter 1 and 25% (1) in the same quarter last year. 3.1 The Hazlitt Theatre sold 52.5% of all available tickets during quarter 2, against a target of 50% (as stated in the contract). The percentage to capacity for this quarter is commendable considering this is not typically a busy time of the year for theatres. The team at the Hazlitt continue their focus introducing acts that cater to a wide range to customers. One of the latest introductions was the Bing Live Show which was a hit for families with young children. 3.2 The number of students benefiting from the museum�s educational service was 1,431 against a target of 2,074. Although the target was missed for this quarter, the previous quarter was over by 978, so it would appear that teachers have planned visits in June rather than July when schools were only active for two weeks. Schools were on holiday from mid-July to the second week of September and this always has an impact on quarter 2. However, during this time 450 children completed their Arts Award as part of the Green Spaces, Natural Places project which encouraged pupils to explore parks and natural environment and reflect on their health and well-being. 3.3 Footfall at the Museum and Visitor Information Centre was 18,448 against a target of 16,250. Discworld and Beyond, an exhibition of the work of Paul Kidby attracted a wide audience of illustration and Terry Pratchett fans. The exhibition included linked activity days and a special early opening on a Sunday for people with Dementia, their families and carers. Heritage Open Day offered the chance to visit the Observatory tower, not usually open to visitors. This event sold out very quickly as the nature of the staircase and size of the tower meant numbers had to be limited. 3.4 The number of contacts to the Visitor Information Centre (VIC) was 1092 against a target of 782. Of these, 626 were walk-ins, 435 were by telephone and 31 via email. The heatwave in July brought many contacts from people looking to make the most of the good weather. As always, it is difficult to assign a specific cause for VIC contacts but contacts are generally higher in the summer months. 4.1 This report is presented for information only, committees, managers and heads of service can use performance data to identify service performance and this data can contribute to risk management. 5.1 The Key Performance Indicator Update is reported quarterly to the Service Committees; Communities Housing and� Environment Committee, Strategic Planning, Sustainability and Transportation Committee, and Heritage Culture and Leisure Committee. Each Committee will receive a report on the relevant priority action areas. The report is also presented to the Policy & Resources Committee, reporting only on the priority areas of: A clean and safe environment, regenerating the Town Centre, and a home for everyone. The key performance indicators and strategic actions are part of the Council�s overarching Strategic Plan 2015-20 and play an important role in the achievement of corporate objectives. 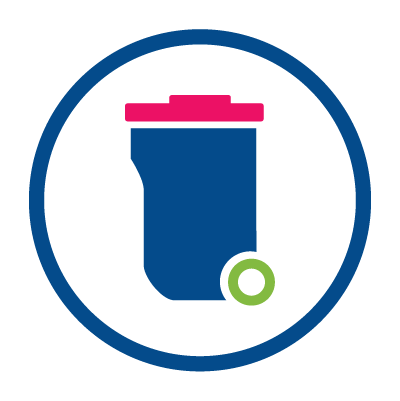 They also cover a wide range of services and priority areas, for example waste and recycling. The production of robust performance reports ensures that the view of the Council�s approach to the management of risk and use of resources is not undermined and allows early action to be taken in order to mitigate the risk of not achieving targets and outcomes. Performance indicators and targets are closely linked to the allocation of resources and determining good value for money. The financial implications of any proposed changes are also identified and taken into account in the Council�s Medium Term Financial Plan and associated annual budget setting process. Performance issues are highlighted as part of the budget monitoring reporting process. There is no statutory duty to report regularly on the Council�s performance. However, under Section 3 of the Local Government Act 1999 (as amended) a best value authority has a statutory duty to secure continuous improvement in the way in which its functions are exercised having regard to a combination of economy, efficiency and effectiveness. One of the purposes of the Key Performance Indicators is to facilitate the improvement of the economy, efficiency and effectiveness of Council Services. Regular reports on the Council�s performance assist in demonstrating best value and compliance with the statutory duty. The data will be held and processed in accordance with the data protection principles contained in� the Data Protection Act 2018 and in line with the Data Quality Policy, which sets out the requirement for ensuring data quality.